Why Is Winter Baby Care Needed? Winter is one of those seasons when most parents worry about the health of their babies. Of course, along with dropping temperatures there is also the danger of viruses making their rounds. 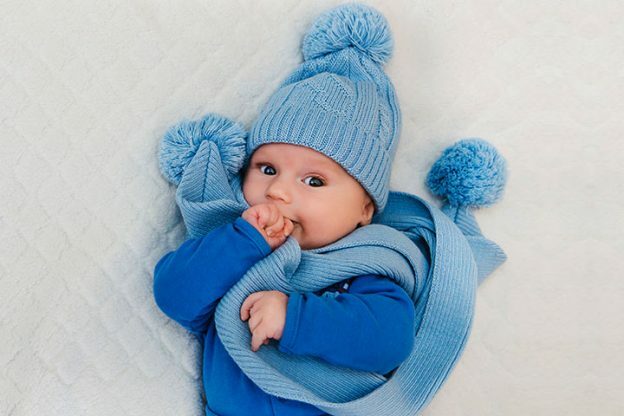 Bundling up your baby in hopes of protecting him or her from the seasonal hazards is a prime challenge. So here we are to help you keep your baby warm and dry during . This post will help and guide you about baby care in winter season in its own little way. During winters, your baby’s immunity gives in and tends to become weak. This happens due to an increase in infections that are viral and bacterial in nature. Hence it is really important to keep your baby away from all this. Babies are obviously more prone to such infections. It is important to know about the symptoms of such infections to avail help when needed at the earliest. Common cold is the most prevailing of the winter viruses, presenting symptoms of a runny nose, fever and cough. Bronchial infections like RSV, cause inflammation of the inner lungs. Coughing, wheezing and difficulty in sleeping. Trouble breathing, gasping for breath and short breaths. Coughing to the point of vomiting. 1. A pre-winter check is a must for this challenging weather. 2. All heating appliances like geysers & heaters should be in a good working condition. 3. Breastfeeding also helps in building your baby’s immunity and keeps him at a better pace to fight it out with the viruses. 4. Adequate warm clothing is essential. On the other hand, you must also avoid over-dressing your baby as it can be extremely uncomfortable for him. 5. While bathing, your baby might be extremely susceptible to this weather change. Ensure you maintain a balance between the bathroom and the bedroom temperature. 6. It would be advisable to make sure there are no gusts of wind or cold air while you bathe your child. 7. Giving your child a well-balanced diet would also improve his chances of having better immunity to fight these viruses. 8. Make sure he or she adequately intakes all the necessary vitamins and nutrients essential for proper growth. 9. Close attention must be paid to hygiene. 10. The easiest way for your baby to catch a virus is to get exposed to an infected person. You need to be more vigilant to ward off such occurrences as far as possible. 11. Anyone handling your baby should first wash their hands properly. Despite trying your best to keep your baby safe from the winter viruses, it is inevitable that he or she will get sick once in a while. This is absolutely normal. In such cases, proper treatment is a must at the earliest. Dehydration is an extremely common side effect of winter illnesses, so keeping your baby well-hydrated is a must. Fresh fruit juices, properly sanitized water and of course milk is vital. Your baby must be properly vaccinated. When your baby is sick, have him avoid unnecessary contact with others as these viruses spread rapidly even by indirect contamination. Keep your baby adequately warm, using blankets, gloves and scarves, anything that will help protect your little one from the cold. Ensure that your baby gets plenty of rest and is properly medicated during the time he or she is unwell. 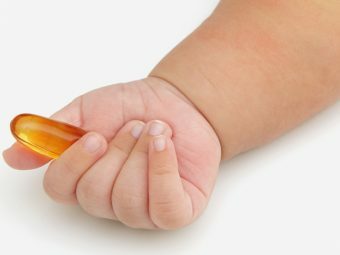 Self-medication can be a dangerous mistake, especially with young ones. Using saline drops or inhalers can help relieve discomfort caused due to blockage of the nose with mucus. Make it a point to periodically clean your baby if he or she is suffering from a runny nose. Getting sick is a part and parcel of growing up. Furthermore, it helps in building your little one’s immunity to fight off future infections. So if after all the care your baby still catches some cold, do not panic. These problems can be sorted very easily with some care and precaution. Your love and care will sure heal your darling sooner. Hope these tips on how to take care of baby in winter will help you keep your baby at bay from any illness this winter. Stay well! Do share your baby skin care tips in winter and suggestions with other mommies in the comment box below.